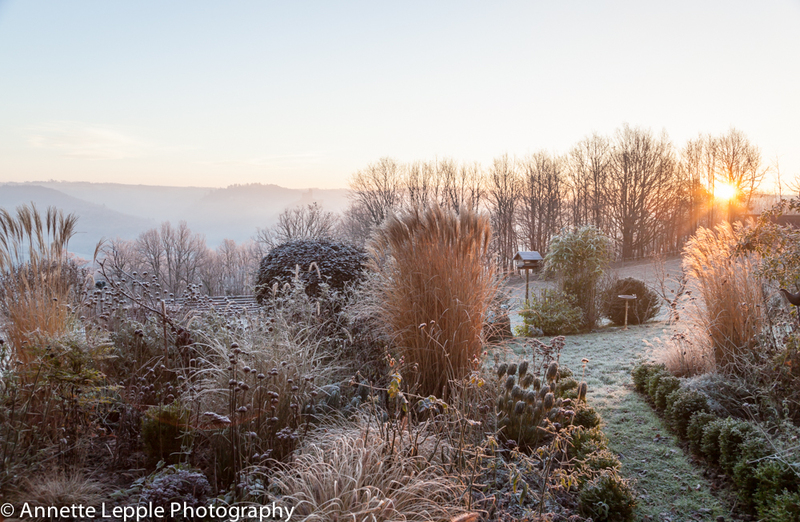 Traumhaft, Deine Winterbilder….mit einem dicken Mantel würde ich gern dort sitzen und die klare Luft genießen!! Vielen Dank auch für die Nominierung 😀 hoffentlich fällt mir da was Nettes zu ein 😉 Hab einen schönen Tag!! Happy New Year Annette. The poem by li po is beautiful and your blog certainly one of the loveliest! Well done Annette. You certainly have One Lovely Blog. You made me smile with your 5 facts about yourself. I love the idea of you galloping through the woods on your mule pretending to be Zorro. 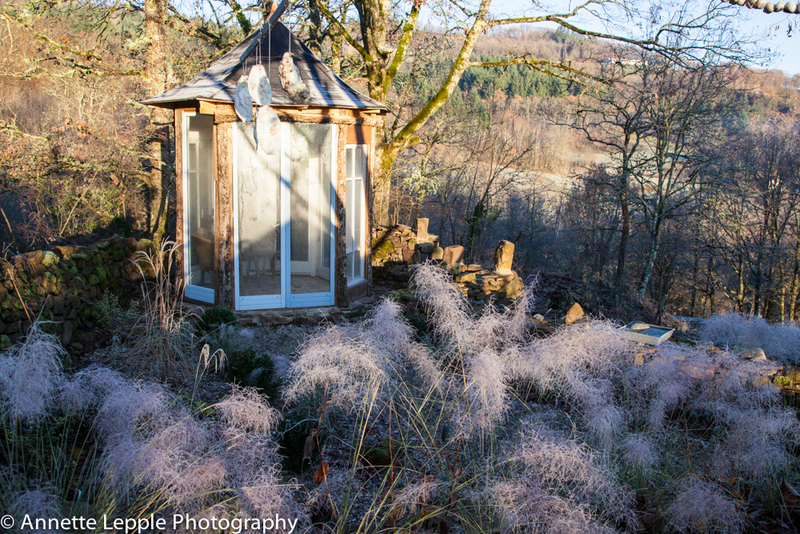 Gorgeous photos, I especially love the spiders‘ s web shimmering with frost. Congratulations, Annette! Well deserved! About fact 3 – Not now! Your secrets out! We’re all picturing the scene! And as for fact 4 – well, I whole-heartedly agree with those sentiments! 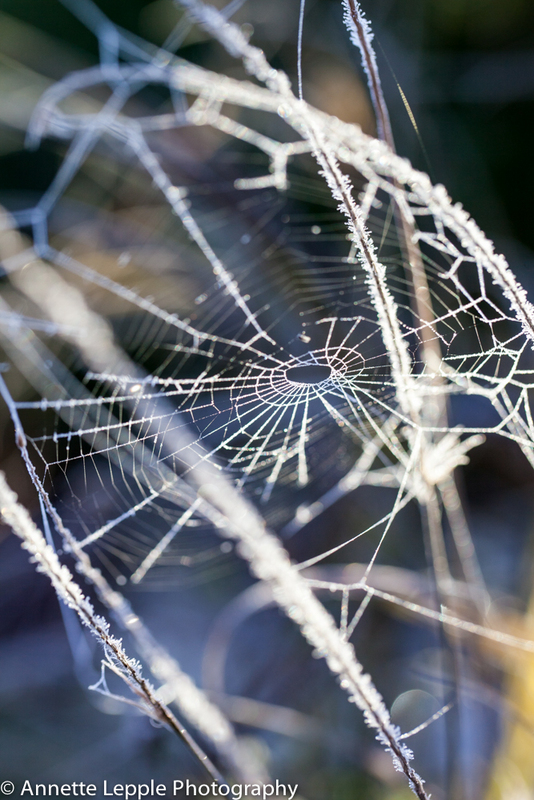 Again, beautiful photographs, especially the cobweb. Aren’t they amazing like that? Did the Roger Federer impersonation make a strong impression on the june beetles, Annette? 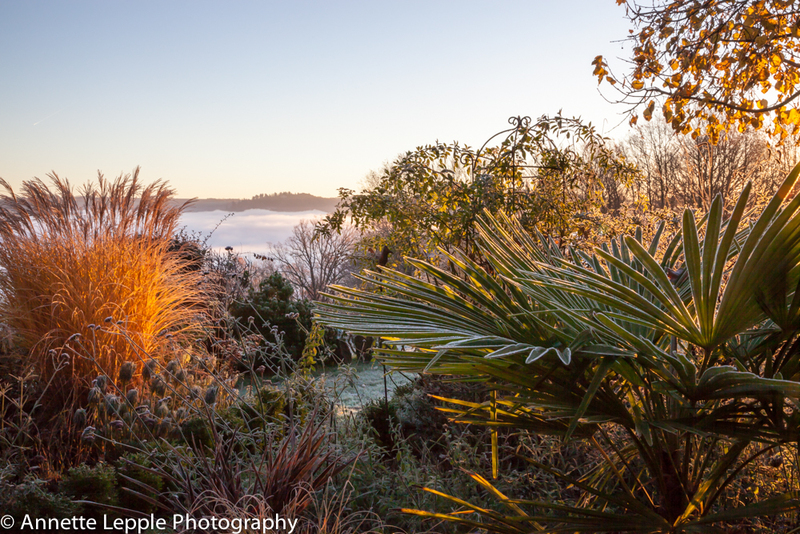 Your frosty pictures are nice and the glowing sun adds to the effect. Congrats on your awards. I love the answers, they all made my laugh! 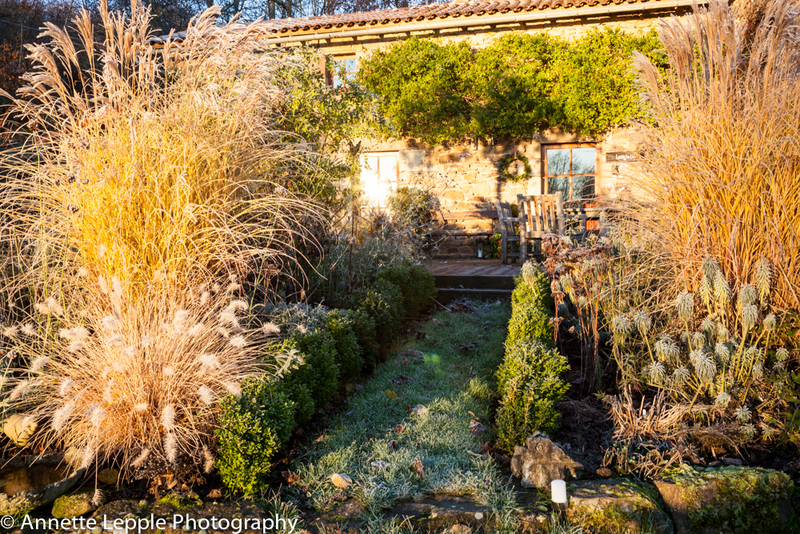 I’m the same with water, just as well summer isn’t very warm where I live, so I’m not tempted to get a pool 🙂 Your garden is stunning with its coat of ice! Dein Garten sieht auch im Winter so zauberhaft aus! Deine Gräser sind super schön – und die Fotos wie immer auch! Danke für deinen Besuch, liebe Renate. Die Gräser sind der absolute Hit, und ich werde noch viel mehr pflanzen. Ach, dieses Leuchten! Well Done Annette, your photos made me smile, your text made me laugh out loud and I am still hankering for your wonderful views. Can’t get enough of those views myself, Julie, and they also help me get through the really dull, grey winter days. Annette, bei dir geht wieder einmal die Sonne auf. Ich hab so eine Sehnsucht nach Licht, dass mich auch der heutige Ausflug an die Nordsee nicht heilen konnte. Wohl aber einer auf dein Blog. Kein Scherz – ich spür das sofort in den Augen, selbst wenn die Sonne "nur" auf Bildern scheint. You mean your NOT Zorro? 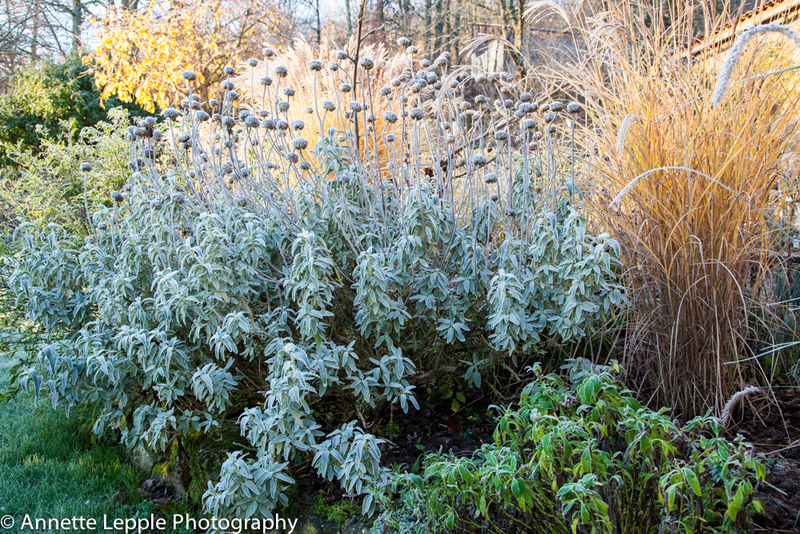 Nice pics of the frost garden. 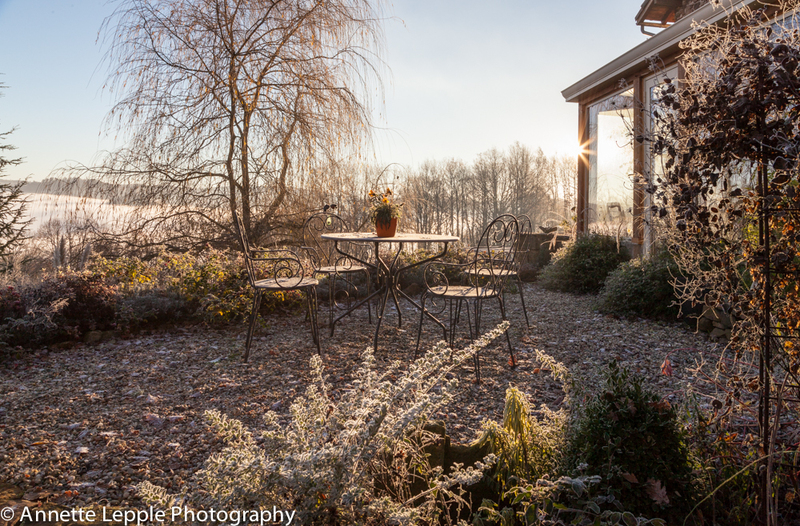 When I got up this morning it was -17C and my car door was frozen shut. endlich etwas Zeit… und ich habe mich in Deine vielen Blogs eingelesen, die ich im 2014 verpasst habe. Statt sie alle einzeln zu kommentieren, sage ich Dir hiermit: Einfach wunderbar. So viel Interessantes, so schöne Bilder, so vielfältig und spannend! Danke Annette! Ich freue mich auf Deine Beiträge im 2015! 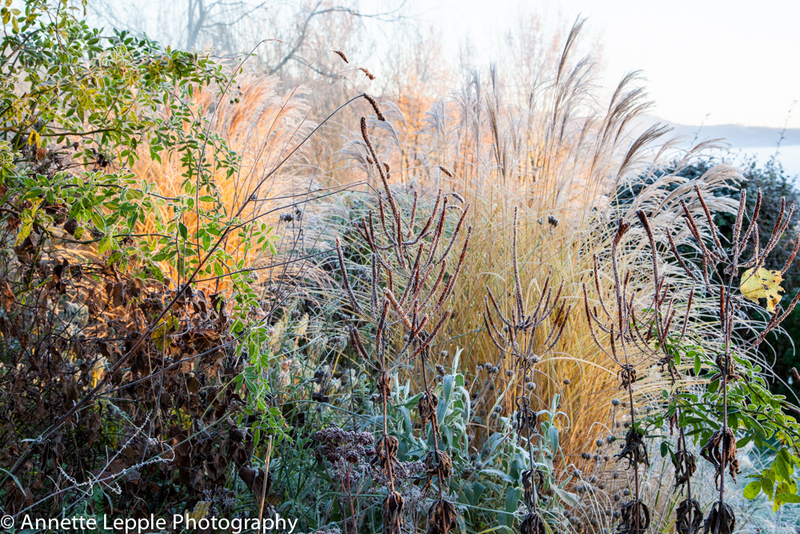 I really love the frosty images of your garden. And riding your mule? I had horses and always thought to be somewhere and someone else. It was an escape from the world to be out on a steed and not even have a clue as to where. I almost hated coming home. Hi Donna, it’s feels good to go wild at times, doesn’t it?! On a different note: can you just tell me again which 300mm lens you use as I forgot? I have a 28-300mm, and a 80-400mm that I use for wildlife. Both are for full frame cameras. I have not been to Hawaii yet, but am still debating which camera I will bring. We need a photo of you on your mule. I wish I had photos of me on my horse. Beautiful pictures and your answers made me laugh! I hadn’t imagined you muleback racing through the forest, but now I have and it’s worth the wait! Congrats on the blog awards, they’re well deserved, and I’ve enjoyed visiting a few blogs new to me, which I never get tired of! 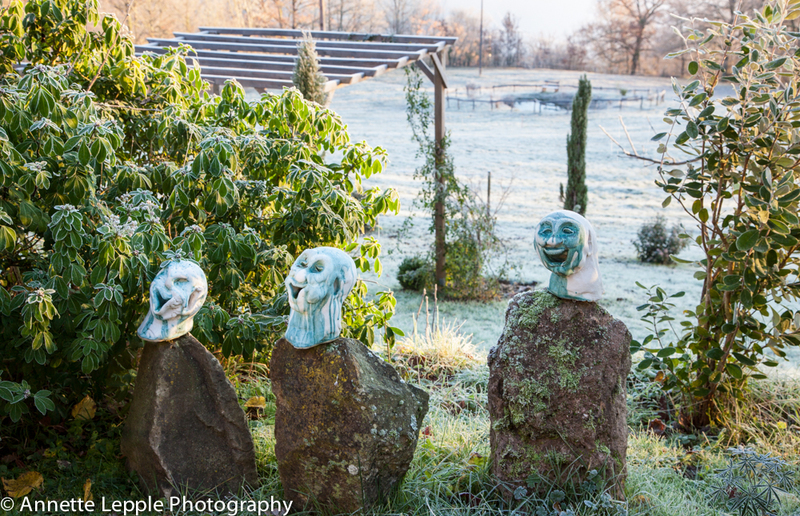 Beautiful pics of a truly dreamy garden Annette! And congratulations! ps. we used to have a cat that my husband called Zorro – perhaps he rode out with you on your mule?